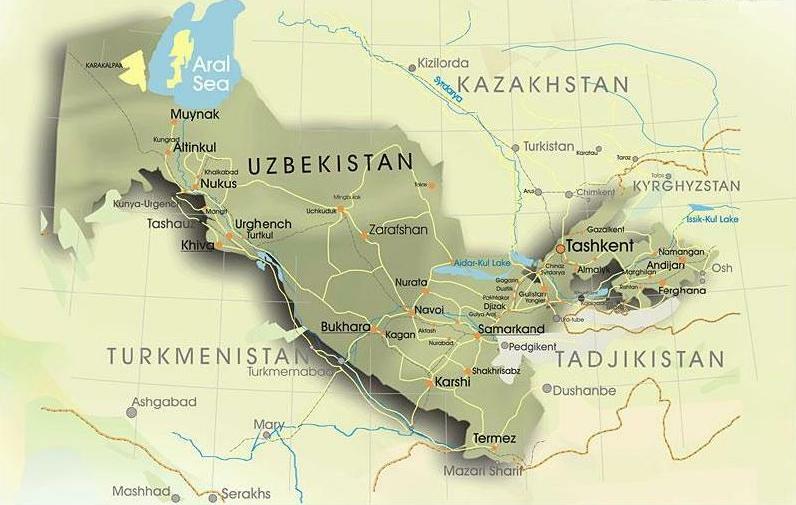 The official language of Uzbekistan is Uzbek. The Russian language is widely spread in the country and the Tajik language in many areas. The representatives of other Turkic nations live in Uzbekistan: the Kazakhs (4,1%), Kyrgyz, Turkmen, Uigurs and Tatars. 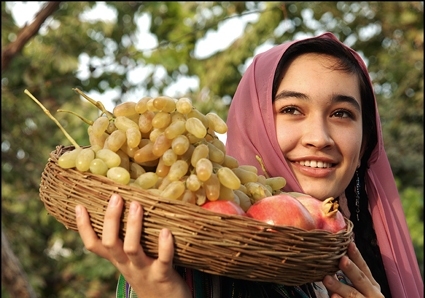 In addition, there is a large community of the Tajiks speaking the Iranian language (4.7%). The significant part of the population is the Russian and Russian-speaking nations. The total number of them is about 16%. The Koreans, Arabs, Central Asian Gypsies and Jews, Germans and many others live also here. Uzbekistan's population is rapidly increasing. Uzbekistan is the Republic. The president is a head of the government and executive power. Legislative power is implemented by the Parliament - People's Assembly (Oliy Madjlis). Religion. According to the official data the Uzbeks are the Muslims - 88 % (generally Sunnites), orthodox - 9 %. 16 religious confessions are registered in Uzbekistan. The Constitution of the Republic of Uzbekistan proclaims freedom of conscience for all. According to the Constitution everyone has the right to profess any religion or no religion. The forced implanting of religious views is also unacceptable. The climate is sharply continental. The average temperature in January is +4 °C to −8 °C; July +22 °C to +42 °C. 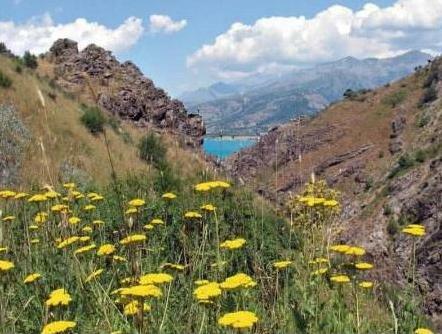 The average annual rainfall in the plains is 90-580 mm., in the mountainous regions - 460-910 mm. People in Uzbekistan are friendly and good-tempered. Uzbekistan is a multinational Republic. Traditional dances are popular in Uzbekistan. Music and art play an important role in cultural life of Uzbekistan. National and international festivals are regularly held around the country. Historical places, culture, national cuisine and opportunities for the active rest will interest even the most experienced travelers. Whether you are traveling en route through Uzbekistan or stay for a few weeks, you will find much interesting and exciting to see in Uzbekistan.